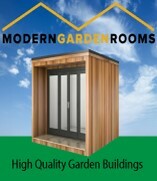 Hopefully by now we are now standing on the threshold of Spring and the new gardening season. The days are beginning to lengthen and although it may not feel like it at times the temperatures are slowly increasing day by day. More importantly the longer days are the real trigger to new growth and you will find that with the help of a little protection you can really go for those early sowings. They might not all make it but it is still worth a try and you will still have plenty of time to re-sow any misses. Your best friend this month is the weather man try to keep up to date with the local forecasts, better still ask the advice of the gardeners around you who have years of experience to draw on. 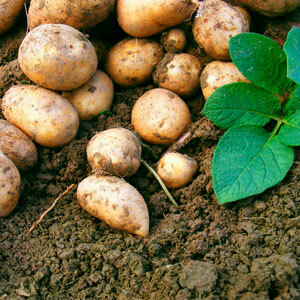 Plant out early cultivars of potatoes as soon as possible and follow on planting out at regular intervals with the second earlies and first maincrops until the end of the month. A little bit of forward planning, don’t be tempted to plant out more potatoes than you can protect from any frosty weather further down the line. Transplant any early peas, broad beans, cabbages or lettuce you may have started off earlier. Sow the seed of Brussels sprouts, summer cabbage, broccoli, onions and leeks in short rows on a “nursery seed bed”. These will be grown on to be transplanted in April. Sow in rows in the open ground seeds of round seeded spinach, Swiss chard, early types of beetroot, carrots, parsnips, lettuce, Spring onions, peas, broad beans and turnips. Try sowing the seed of the white form of kohl rabi towards the end of the month. Plant out onion sets, shallots and garlic before they start to produce shoots. If you are buying any from the site shed or garden centres reject any that are shooting they will only bolt during the summer. Transplant any onions that were grown from seed sown last summer into rows. It is best to treat these as a sacrificial crop to be harvested and used from August onwards. If you can offer the protection of a greenhouse sow the seed of celery, celeriac, French beans (they are hardy enough to be planted out before the runners), cauliflowers to transplant on the open soil next month. Complete any unfinished digging and winter pruning. Clear the old leaves off strawberry plants and clean up the ground in between the plants before giving them a top dressing of a general fertiliser. Keep some fleece handy to protect the developing strawberry flowers from frost. Any frost damaged flowers are easily identified as they display a tell-tale “black eye” at the centre of the dead flower. When the weather conditions allow it, complete the preparations of seed beds for direct seed sowing. Spread the job out over several days to allow the surface of the soil to dry out.